There's nothing like a hand made doll as an act of love for a special child. 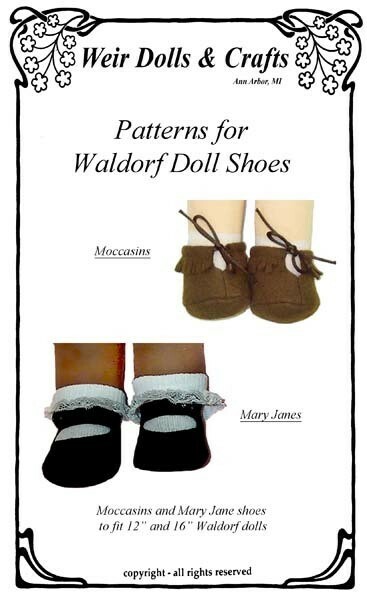 Waldorf dolls are made with all natural materials: 100% cotton skin, pure new wool stuffing, mohair and wool hair yarns. Please note skin and yarn colors may not show up accurately online, for exact colors, order swatch cards. Never made a doll before? 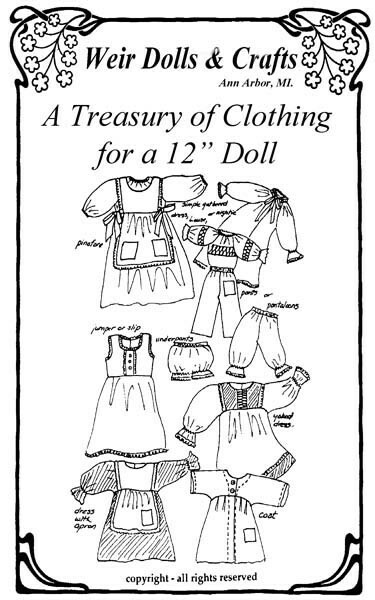 Our kits come with clear, complete instructions to walk you through the pleasure of making your child's very own doll. KIT INCLUDES: complete instructions, cotton knit fabric for body with pattern silkscreened on the fabric, cotton tubing for inner head, yarn for hair, matching threads, string for soft sculpturing head, embroidery floss for facial features, wool batting to stuff. Sewing patterns for simple dress or shirt, pinafore, pants and underwear (clothing fabrics not included). YOU WILL NEED: Doll Making needles, ball point hand and machine needles (all available below), general sewing tools. Sewing machine recommended. These dolls are for children ages two and older. Do you need ball point machine needles? Ball point needles are needed to avoid holes along the machine sewn seams. 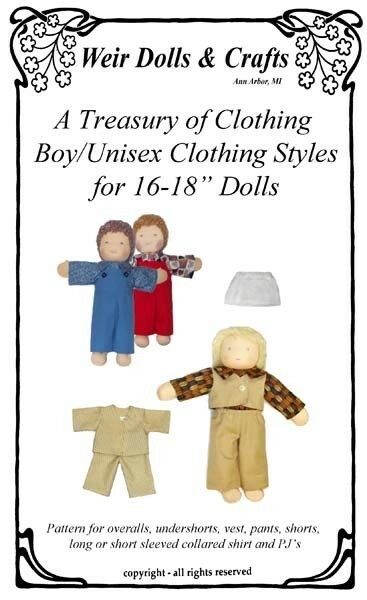 Want to buy clothing for your doll already made? 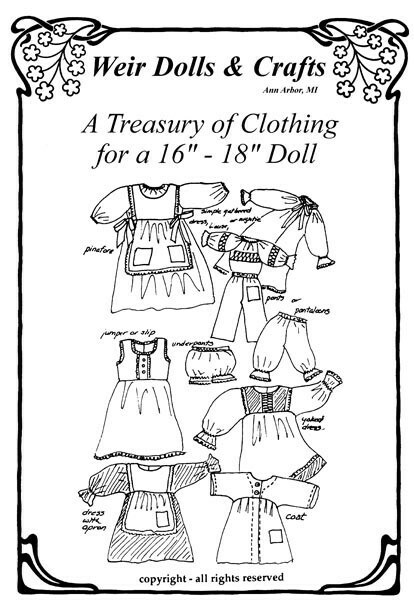 Please check our our doll clothing pages for 12 and 16 inch dolls.